SEATTLE, Nov. 9, 2017 /PRNewswire/ -- Weyerhaeuser Company (NYSE: WY) today announced that its board of directors has declared a dividend of $0.32 per share on the common stock of the company, reflecting a 3.2 percent increase from the prior quarterly dividend of $0.31 per share. The dividend is payable in cash on December 15, 2017 to holders of record of such common stock as of the close of business on December 1, 2017. "We are focused on returning cash to shareholders as we continue to improve our operating performance and capitalize on market conditions," said Doyle R. Simons, president and CEO. "With today's announcement, we have increased our dividend six times since 2011, consistent with our commitment to a growing and sustainable dividend." Weyerhaeuser Company, one of the world's largest private owners of timberlands, began operations in 1900. We own or control nearly 13 million acres of timberlands in the U.S., and manage additional timberlands under long-term licenses in Canada. We manage these timberlands on a sustainable basis in compliance with internationally recognized forestry standards. We are also one of the largest manufacturers of wood products. Our company is a real estate investment trust. In February 2016, we merged with Plum Creek Timber Company, Inc. In 2016, we generated $6.4 billion in net sales and employed approximately 10,400 people who serve customers worldwide. We are listed on the Dow Jones World Sustainability Index. Our common stock trades on the New York Stock Exchange under the symbol WY. 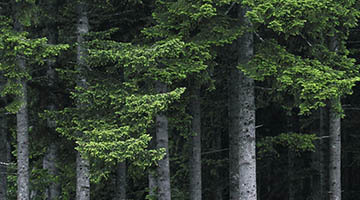 Learn more at www.weyerhaeuser.com.